The half year results are announced in late November. The full year results are announced in late May. The AGM is held in London in July. Dividends can be paid to shareholders by means of BACS (Bankers’ Automated Clearing Services); mandate forms for this purpose are available from the Registrar. Alternatively, shareholders can write to the Registrar to give their instructions; these must include the bank account number, the bank account title and the sort code of the bank to which payments are to be made. TR Property Investment Trust plc now offers shareholders the opportunity to purchase further shares in the company through the DRIP. DRIP forms may be obtained from Computershare Investor Services PLC, or by phoning 0870 707 1694. Charges do apply; dealing commission of 0.5% (subject to a minimum of £1.00). Government stamp duty of 0.5% also applies. Details of the market price and Net Asset Value of the Ordinary shares can be found on this website. 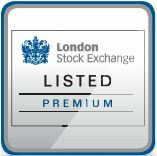 The market prices of the Company’s shares are published daily in The Financial Times. Some of the information is published in other leading newspapers. The Financial Times also shows figures for the estimated Net Asset Values and the discounts applicable.